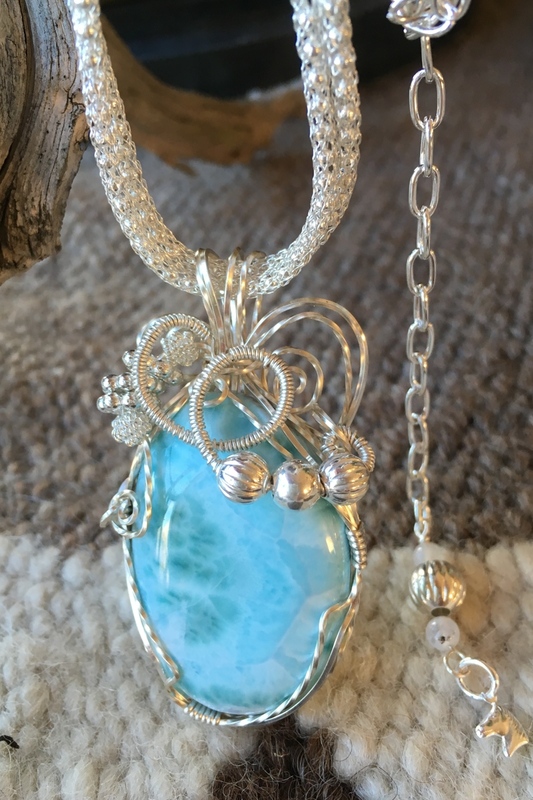 This rich, deep sea blue Larimar pendant from the Dominican Republic is as rare as it is beautiful. Wrapped and embellished with silver spirals, coils, balls and beads this is a special occasion treasure. Strung on a double SilverSilk necklace with a silver extender chain, the length is adjustable to complement any neckline.